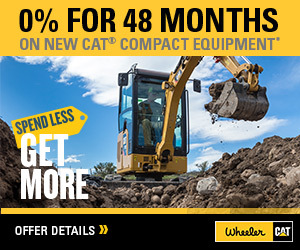 ELY | Wheeler Machinery Co.
Wheeler Machinery Co. in Ely, Nevada, is your full-service Cat® dealership. Whether you need new, used or rental equipment or require parts and service, we will support you in making the ideal decision for your company. Our relationship extends well beyond your purchase because you are a valuable partner. Our location in Ely is across the street from Margarita’s Mexican, adjacent to the Nevada Department of Transportation, and sits on the corner of East 15th St. and Ave. D.
Our selection of heavy equipment for sale in Ely, Nevada, provides Cat machines, power generation, construction tools and attachments as well as crushing and screening equipment to boost your bottom line, productivity and uptime. Choosing Caterpillar allows you to invest in reliable, durable, fuel-efficient and high-performance machinery. 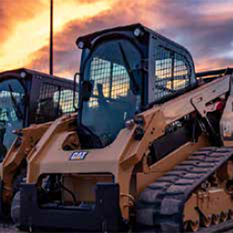 As the heavy equipment leader across the world, Cat can help you enhance your fleet and operations with new equipment so you can develop a more successful business. Used Machinery at Wheeler Machinery Co.
Purchasing new pieces of machinery isn’t always in the books — especially if you need it for part-time use. We offer Cat-certified used machines in excellent condition and with a manufacturer’s warranty. With up to 140 inspection points checked in our equipment, our technicians maintain each with Genuine Cat parts and provide unequaled product support. 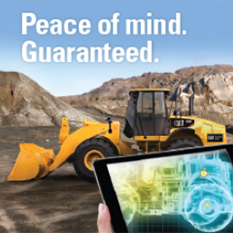 We implement modern technology to perform inspections and our technicians have superior knowledge of Cat equipment. With the best parts available in the industry, extended coverage and equipment maintenance history for our used equipment, we support categories such as agricultural equipment, attachments, heavy machinery and power systems. Having access to rental Cat equipment in Ely, Nevada, along with various tools and attachments, is ideal if you have a one-time project, a machine is out of service, you need it for a short time or if you want to test out the equipment before buying new or used. Wheeler Machinery Co. has more than 250 technicians as well as 90 field service trucks to support you at our location or on your job site. We will travel to keep your operations running, resulting in little to no downtime. We help you remain a competitive force with services ranging from scheduled and field services, machining and sandblasting to condition monitoring, fluid analysis, component rebuild and preventative maintenance. We even offer equipment transport when you can’t move your machinery. Servicing your equipment from any location, each truck has remote access to Caterpillar’s technology library and Wheeler’s team of communicators. We are here to help you increase profitability with tailored solutions and real advice. By supporting industries like construction, governmental and landscaping, we build long-term relationships. Visit our Ely location in Nevada, contact us online for more information or speak with your local sales representative. You can also call us at 775-289-2466.